Guilt. Resentment. Anxiety. Exhaustion. If you have an alcoholic or addict in your life and feel one or more of these feelings consistently, you are probably engaging in enabling behavior. What is enabling? Enabling is the illusion of help, the illusion of love. Enabling is what we do when we want to control outcomes, when we want to avoid confrontation, when we want to maintain the status quo. What is the effect of enabling? Continued addiction. Trying to protect an addict or alcoholic from his choices simply encourage his addiction. Wait, you might say. When someone I love is hurting herself, isn’t it my responsibility to do everything I can to protect her? If she hurts herself on my watch, won’t it be my fault? It’s certainly difficult, especially as a parent or spouse, to watch your loved one experience pain. But it’s also all too easy to confuse feelings of protection with feelings of love. 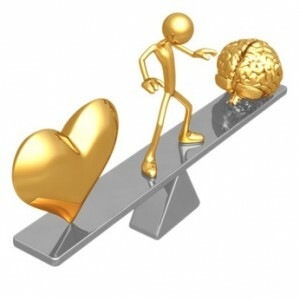 To better understand enabling, consider the difference between love and attachment. Attachment is the desire to protect and the desire to control. These desires are based in fear. We might fear that our loved one will leave us (or at least dislike us) if we don’t help them; we might fear that we will be punished in some way if we don’t help; ultimately, we might fear that our loved one will die if we don’t help—and we fear the pain of that loss. When a parent waits in dread for a child to return safely home, that dread is attachment. When a girlfriend repeatedly returns to an abusive boyfriend, that need is attachment. When a husband can no longer bear his wife’s pain and steals or buys prescription pills for her, that pity is attachment. When love is warped by fear, leading us to cling, grasp, grab, and never want to let go, we have become attached. Attachment feels urgent. Love feels secure. Attachment is often accompanied by guilt. Love is guilt-free. Attachment is anxious. Love is trusting. Attachment fears that love will end. Love knows that love is eternal and ever-present regardless of circumstance. In short: any action that is driven by fear or worry, even if it seems like the loving thing to do, will ultimately lead to breakdown. In this way, enabling is the opposite of love. The sheer effort it takes to enable an addict can foster resentment and anger and even cause us to finally abandon the very person we’ve tried so hard to protect. Love trusts that the addict is on a path of his or her own choosing, and love knows that allowing this person his or her experiences—and their consequences—is the most supportive action to take. Love knows that compromising one’s own health or well-being to help the addict will only make the journey longer and harder for everyone. To help yourself know whether you are acting out of love or falling prey to attachment behaviors, ask yourself your motivation before you take any action. Is this action coming from a place of love and trust or of fear and worry? Allow them their experiences and the consequences. If they ask for your feedback, be honest. If (and only if!) you have established an agreement with the addict to do so, lovingly make them aware of their destructive patterns. Take care of yourself. If you know that you tend to enable, seek a therapist who can help you understand your motivations and help you value yourself. Consider a group like Al-Anon, where you can learn from relatives and friends of addicts. Finally, remember that addiction is a family disease, and the conditions in the family and in your self have made the addiction possible. This is not a case for blame. In fact, it’s the opposite. Addiction in a family can be a wonderful opportunity to bring old insecurities and resentments out into the open, to learn more yourself and each other, and to practice resting in the peace of love rather than falling prey to fear-driven attachment.